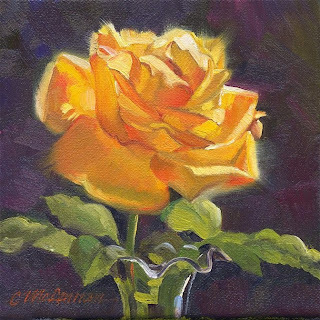 Yellow roses: many have been painted, few have sold. This one catching the late afternoon sun through my window said "Paint me," so I did. Sometimes you just have to go with the flow.